If you are runnnig an event, we are pretty sure you will need some sort of signage... Traffic management, Public services, Health & safety signage is just some of the signage you may require for your event. 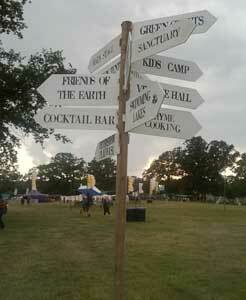 For festivals we can supply and fit all the from signs for directional signs for toilets, to the car parking signs. We can supply the whole signage solution either to buy or hire for the duration of the event. So if you are organising a event, get in touch with your requirements and let us help you organise the signs and suggest the best system for you.